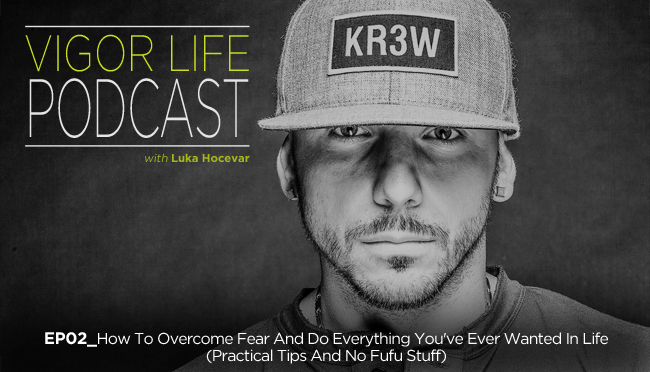 Has fear ever stopped you from doing things in life? Do you feel like you’re currently stuck and not moving forward because of your fear of _______? The whole notion of “fear” in today’s world is irrational (most of the time), yet it stops us from achieving many of the goals we set for ourselves. Fear has stolen more dreams than failure EVER will, yet you still may be giving it more power than it’s worth. Here’s the truth: People who overcome fear are not “fearless.” They act in spite of fear; and there are certain tactics that they deploy that you can learn from to take back control of your life. What the “call to action” button is, and why you should reconsider what you think is “bad” because it will actually help you get what you want in life. Thanks so much for joining me this week. Have some feedback you’d like to share? Leave me a review on iTunes! This entry was posted in Podcasts and tagged Business, Fear, Fitness, Fitness Business, Mindset, Performance, Personal Development, Podcast, Self Development, Self Help, Success, Training, Transformation, VigorLife. Bookmark the permalink.